The project is primarily a technological upgrade and extension of the Pan-African e-Network Project (Phase 1) which was implemented in 48 partner countries across Africa from 2009 till 2017. 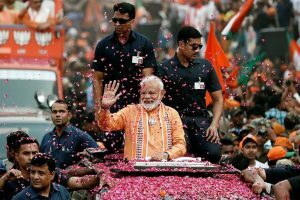 To counter China’s growing footprint in Africa, India on Monday launched a major project to establish a pan-African e-network to further its soft power diplomacy in the resource-rich continent. “The agreement between the External Affairs Ministry and the Telecommunications Consultants India Limited to establish a pan-African e-network between India and Africa, called the e-VidyaBharati and e-ArogyaBharati Network Project, would serve as yet another bridge – a digital bridge – between our countries, shrinking the distance between India and Africa even more,” External Affairs Minister Sushma Swaraj said at the agreement signing ceremony attended by envoys of various African countries. The phase 1 of the project successfully imparted tele-education and tele-medicine by linking educational institutions and hospitals in India with those from the participating African countries. Over the 5 years project duration, the project will provide free tele-education courses in various academic disciplines to 4000 students every year from African countries. The project will also be utilised for providing free Continuing Medical Education (1000 every year) to African doctors/nurses/para-medical staff. Further, Indian doctors, through this project will provide free medical consultancy to those African doctors who seek such consultancy. 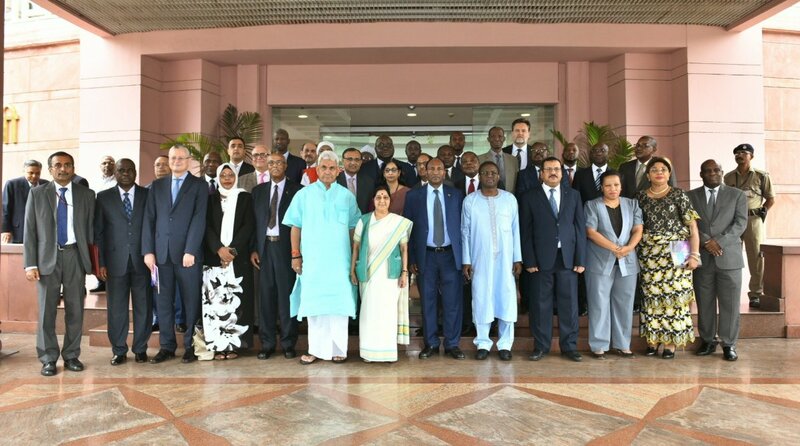 “This e-network aims at providing quality tele-education and tele-medicine facility by linking select Indian universities, institutions and super specialty hospitals to African educational institutions and hospitals,” Swaraj said at the function. She said New Delhi had Africa at the top of India’s foreign policy priorities and this was reflected in its actions. In the last four years, there have been 26 visits to African countries at the level of President, Vice President and Prime Minister apart from several Ministerial visits, she added. The minister said it has been decided to significantly enhance India’s diplomatic presence in Africa with the opening of 18 new Resident Missions over the coming four years. India’s business and developmental links with Africa continued to be robust and cooperation and support for each other at the international fora remained steadfast. India, she said, would support the Indian industry’s investment in Africa. “We will harness India’s experience with digital revolution to support Africa’s development – and today’s e-network project is a manifestation of that commitment. This will also equip the youth of Africa to take their place in the digital age,” she added.